The new EU regulation for Personal Protective Equipment (PPE regulation) has now placed increasing demands on manufacturers. Its area of application is overall more comprehensive than before. For example, the complete supply chain is taken into account when considering the traceability of products. Distributors may therefore be equally under obligation as manufacturers and must keep a full record of the PPE which they deal with. However, this is where SKYLOTEC can provide useful assistance. The experts for fall protection equipment offer with their “Homebase” a free-of-charge and detailed administration tool which can be maintained online. Extensive obligations that have to be implemented are included in the EU’s PPE regulation which will become binding from 20 April 2018. It will, in the future, no longer simply make manufacturers accountable but also all economic players – additionally meaning such as distributors or importers. For example, anyone who as a distributor places Personal Fall Protection Equipment (PFPE) onto the market must record every article sold. This is intended to enable traceability of products throughout the entire supply chain. 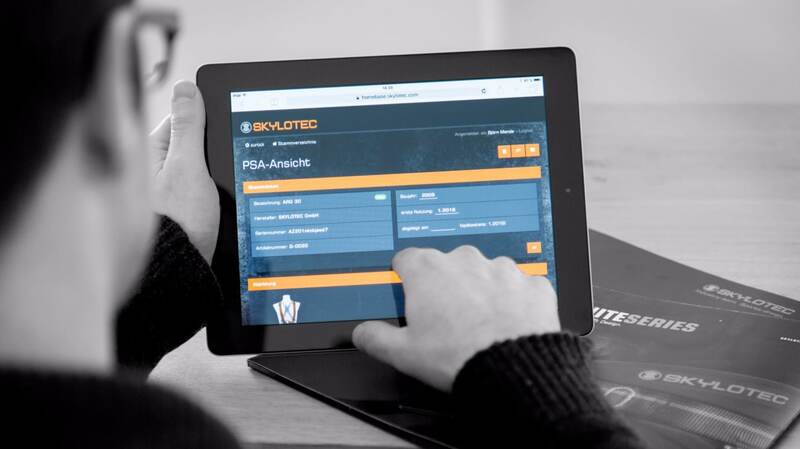 With the “Homebase” SKYLOTEC has already provided an asset management system tool on its homepage which simplifies the recording of products placed onto the market. Dealers can record their item data in this online asset management system in a straightforward manner with little workload. They are held on the system by means of the scanning of a data matrix code which is printed on the products and product packaging. As a result, serial numbers no longer have to be manually entered, the creation and maintenance of lists on your own PC is also not necessary. Administrative processes can be significantly simplified thanks to the scanning. This will also be true when the statutory revision of PFPE has to be carried out and documented. Because both in large organisations and smaller companies a variety of products may be in use which have been purchased at different times and which therefore must be inspected at different cycles. It is therefore essential to have an overview and be able to maintain the inspection intervals for every single item. The “Homebase” is a useful tool in such cases. Users of the asset management system may, for instance, be automatically reminded of coming revisions. The complete inspection history can be viewed for every product and users are also given full documentation. That is important if such as a technical supervisory officer of an employers’ liability association demands proof after an accident that the prescribed inspections have actually been carried out. In addition, the “Homebase” enables communication to be carried out more efficiently. It is thus no longer necessary to contact the complete customer base. Using the data stored, individuals or companies can be specifically approached – for example, when the maximum service life, the so-called “replacement limit”, has been reached. This can be quite common, because even if it is cared for in the best conditions and inspected regularly, PFPE can only be used up to a certain time. The DGUV 112-198 regulation recommends for instance that such items as belts should be replaced after a maximum of eight years and ropes and fasteners after a maximum of six years. If this is the case, individuals or those staff responsible for occupational safety may be each informed on the necessity of new PFPE. An additional advantage: The data may be called up using a smartphone or tablet and are thus available when travelling. Anyone who works with the “Homebase”, additionally receives extensive support from SKYLOTEC. A team of several members of staff provides help on all questions relating to the use of the asset management system and is in constant discussion with customers. In addition, the manufacturer of fall protection equipment is constantly striving to further develop the administration tool and, as a result, to further increase its user friendliness.